A former Gladiators star is seriously ill in the hospital after 'destroying' his body with decades of extreme workouts. 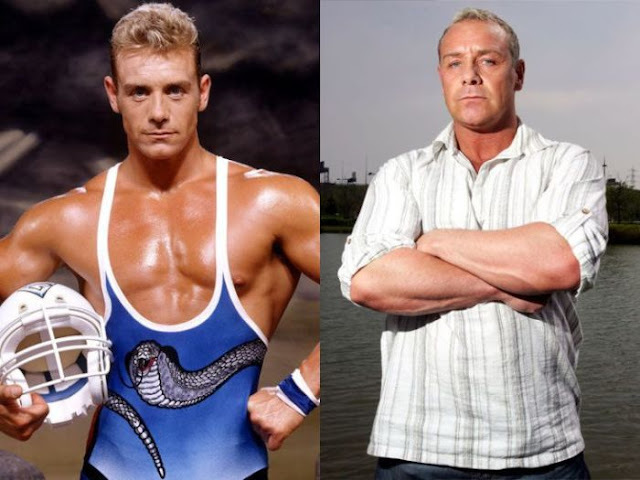 Michael Willson, who was known as Cobra on the Gladiators show during the 1990s, told the Sun it was 'touch and go'. The former bodybuilder, 55, is suffering from a number of health problems including severe acute pancreatitis and pleurisy, a condition which causes sharp chest pains. He also needs two new hips and struggles to move his right arm thanks to a rupture in his shoulder. He added: 'I pushed the limit and listened to silly Arnold Schwarzenegger saying you've got to take more pain than your competitors. So far Mr Willson has been in the hospital in Kent for three weeks, having been hospitalized before Christmas as well after his pancreas swelled up. He also claimed that his co-stars including James Crossley, who was known as Hunter, are far healthier because they didn't 'self-inflict' pain by carrying on. Cheeiii. I feel his pain.